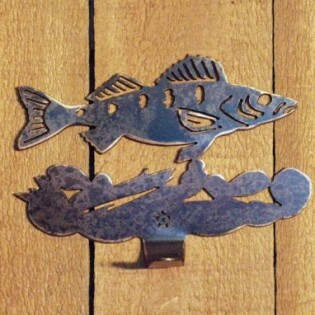 This rustic walleye single hook is a fisherman's delight in hand cut metal. Use it for your thickest bath towels or heaviest coats this hook is as strong as it is beautiful. Made of hand cut metal with a bronze/rust look finish.